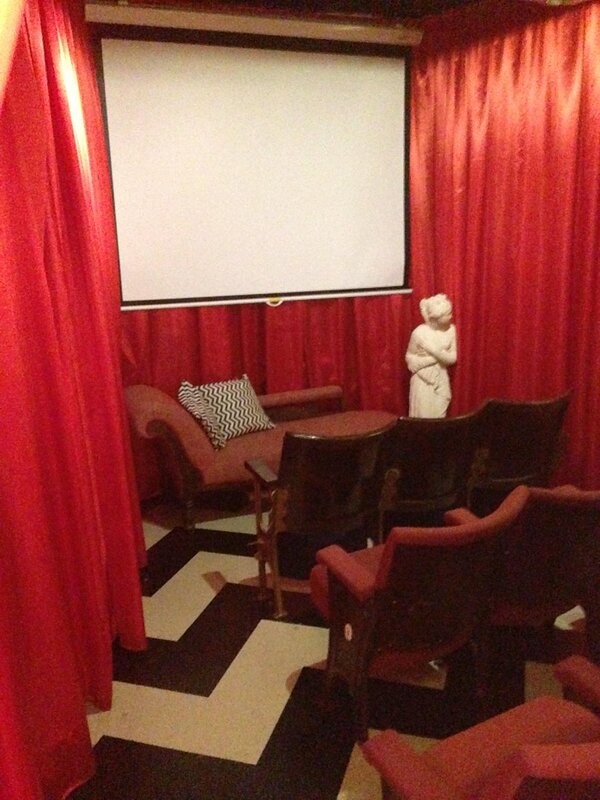 From the romantic songs of Twin Peaks: Fire Walk With Me, to the violence of iconic scenes in Blue Velvet, Wild At Heart or Lost Highway, sound is a vital component of David Lynch’s films – it’s in the wind, in the air, and in the people’s thoughts; his carefully chosen songs conveying his characters’ mental states. 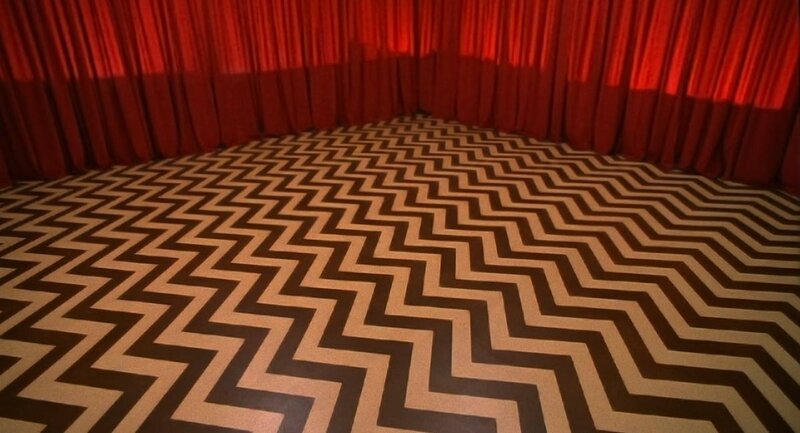 His partnership with composer Angelo Badalamenti gave birth to one of the most celebrated soundtracks ever created for television – as viewers around the globe asked themselves ‘who killed Laura Palmer?’ to the ethereal tones of Julee Cruise’s voice. 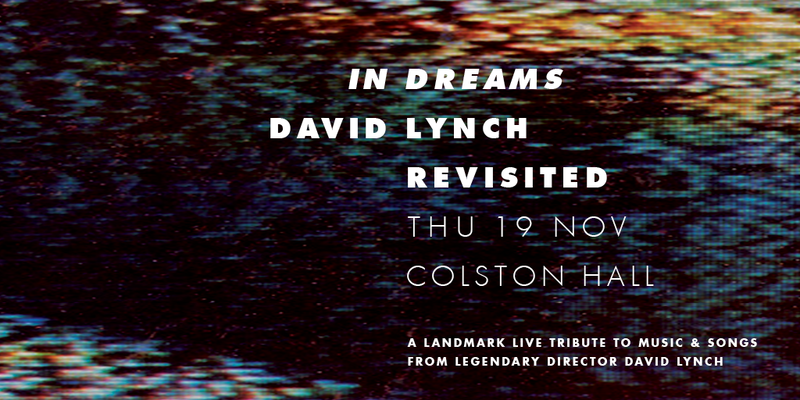 In Dreams immerses the audience into the mood and atmosphere of Lynch’s universe, with landmark instrumental tracks and exciting new versions of songs from his films, performed by a superb band assembled and led by musical director David Coulter. David Coulter musical direction and original concept. Jehnny Beth (real name Camille Berthomier) is best known as lead singer of post-punk band Savages, and known for their excoriating live performances. She is also one half of French indie rock duo John & Jehn and is the co-founder of Pop Noire records. Mick Harvey is a multi-instrumentalist, singer-songwriter, composer, arranger and record producer, that is probably best known for his collaborations with Nick Cave. Harvey met Cave while at school, and subsequently formed the bands The Birthday Party and Nick Cave and the Bad Seeds. After 36 years of collaboration, Harvey left Nick Cave and the Bad Seeds in 2009 to work on new projects. Since going solo Harvey has collaborated with PJ Harvey, and supported her on tour. Perhaps his most noteable solo work to date has been two albums of new interpretations of the songs of Serge Gainsbourg – ‘Intoxicated Man’ and ‘Pink Elephants’. Translated from French into English, the albums highlighted some of Gainsbourg’s lesser known, but equally intriguing songs, alongside the classics ‘Je T’aime… Moi Non Plus’ and ‘Bonnie and Clyde’. The albums were re-released as a double CD collection in 2014. New York based Cibo Matto (Italian for “crazy food”) consist of Yuka Honda and Miho Hatori, and formed back in 1994. With songs that initially focused on the subject of food, like ‘Know Your Chicken’ and ‘Birthday Cake’, Cibo Matto gained success in the US and appeared on several television shows, including cult show Buffy The Vampire Slayer. Later the band’s line-up was expanded with the addition of Sean Lennon, Timo Ellis and Duma Love, and the subject matter of their songs broadened. Although Japenese ex-pats, the band were not initially ‘big in Japan’ as in the US, but since then the group’s following in Japan has grown and they are now signed to Japanese record label Commmons. After a ten year hiatus, Yuka Honda and Miho Hatori reunited as Cibo Matto in 2011, and released their third studio album ‘Hotel Valentine’ in 2014. Psychadelic folk band Stealing Sheep hail from Liverpool. Their acclaimed 2012 debut, ‘Into the Diamond Sun’, purveyed a ‘medieval-kraut-folk’ inspired sound, and led them to being described as an unanticipated ‘pagan pop revival’. Since its release have toured as guests of Postal Service and Alt-J, opened for St.Vincent in Paris, performed the songs of David Lynch at the Barbican and collaborated with the Radiophonic Workshop on an original soundtrack to the cult 70’s science fiction film ‘La Planete Sauvage’. Rolling Stone has described vocalist Sophia Brous as “A prodigious chanteuse”. Her genre-defying sound draws on a vast array of influences ranging from classic poporchestra, exotica, jazz, and film soundtracks, to avante garde, film and theatre. Brous has collaborated with numerous Mick Harvey, Julia Holter, Jens Lekman, Belle and Sebastian, Michael Rother, Patrick Wolf, Kimbra, Kirin J Callinan, Emmy the Great, Paul Kelly, Leo Abrahams and Paul Grabowsky. Sophia has sung on Bollywood soundtracks and Hollywood film-scores and performs and curates at major Festivals and venues internationally. 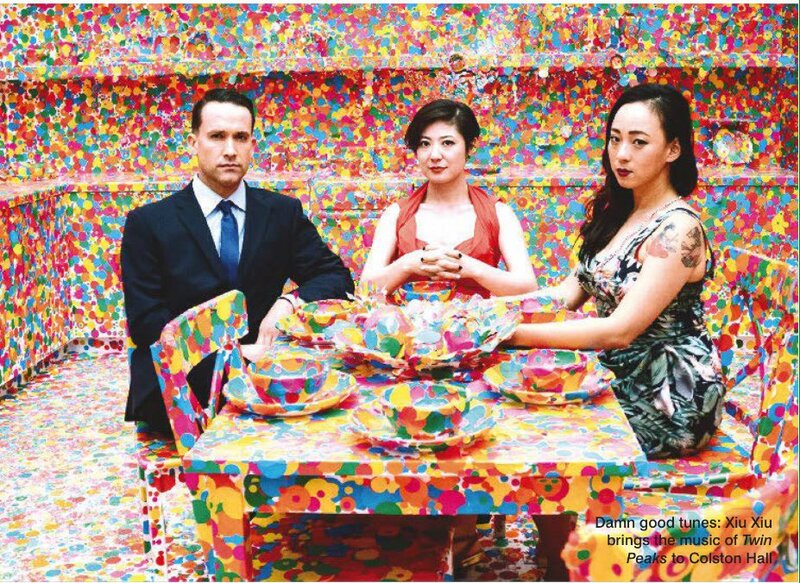 Provocative and enigmatic artist Kirin J. Kallinan was previously a member of Mercy Arms, who previously toured with The Strokes, Pixies, Editors and The Horrors, before Callinan struck out on his own. His at times deranged and visceral live performances have divided opinion, but one thing’s for sure, it’s not likely to be something you’ll forget. He released his debut album ‘Embracism’ in 2013. David Coulter works throughout the world as a musician, director, curator, consultant and educator. He is a musical and artistic director of large-scale music and theatre events for Artangel, Southbank Centre, The Barbican, The Sage, Gateshead, Les Nuits de Fourviere in Lyon, and La Salle Pleyel in Paris. He composes for dance, theatre, cinema, television and radio and is widely regarded as one of the world’s foremost musical saw players. As Associate Musical Director and multi-instrumentalist in the opera The Black Rider he worked alongside Tom Waits and Robert Wilson. He was Damon Albarn’s Music Supervisor for the Gorillaz Opera, Monkey: Journey to the West and was Yoko Ono’s Musical Director for Double Fantasy Live at Meltdown 2013. In the 80s, he played and recorded with Test Dept and The Band of Holy Joy and in the 90s, he played mandolin and fiddle with The Pogues. Since 2000, as an in demand multi-instrumentalist, he has been recording, performing and touring with artists as diverse as Damon Albarn, Jarvis Cocker, Beck, Hal Willner, Marianne Faithfull, The Handsome Family, Richard Hawley, Marc Ribot, Steve Nieve, Tim Robbins, The Good, the Bad and the Queen, Gorillaz and Patrick Wolf. He has played the didgeridoo at the invitation of Her Majesty Queen Elizabeth II on a number of official occasions and also in concert with the Kronos Quartet. 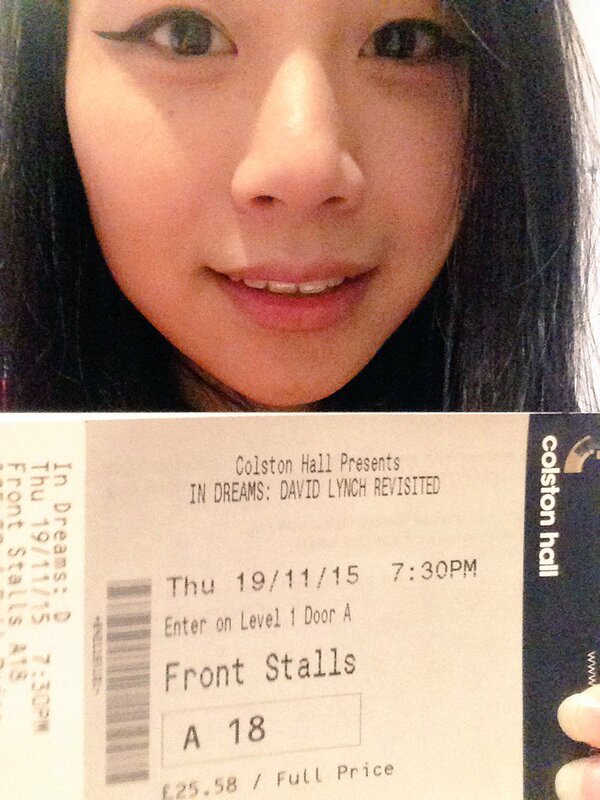 In Dreams: David Lynch Revisited / Shows / Colston Hall #colstonhall #show103887 https://t.co/N4aHux8ZjW was brilliant. Thanks everyone! 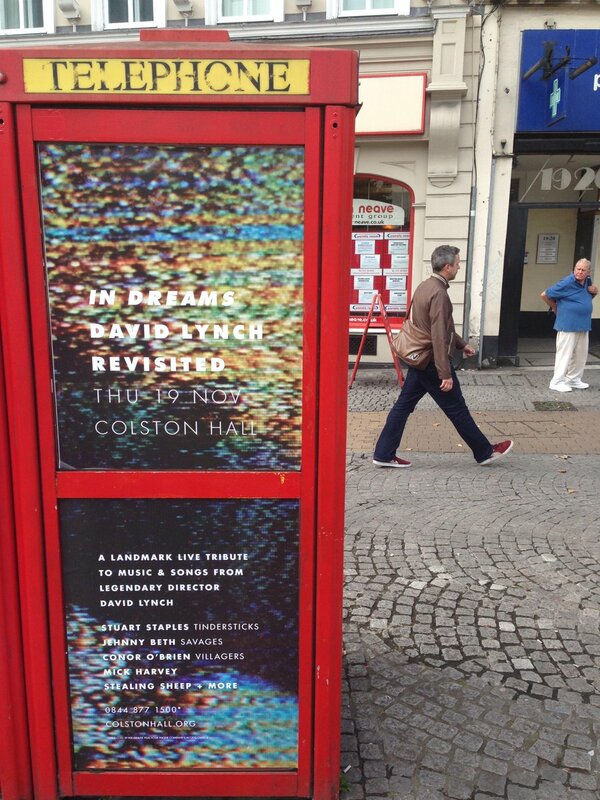 In Dreams: David Lynch Revisited / Shows / Colston Hall #colstonhall #show103887 https://t.co/swflf8b7k5 Can't wait for this one!! 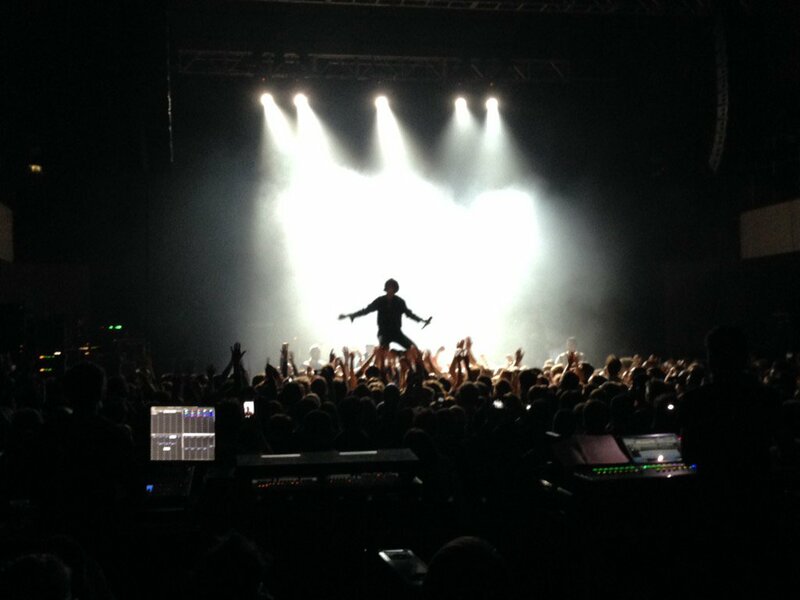 @Colston_Hall Oh wow! That looks incredible! Cibo Matto involved too! Will definitely be going! Thanks!